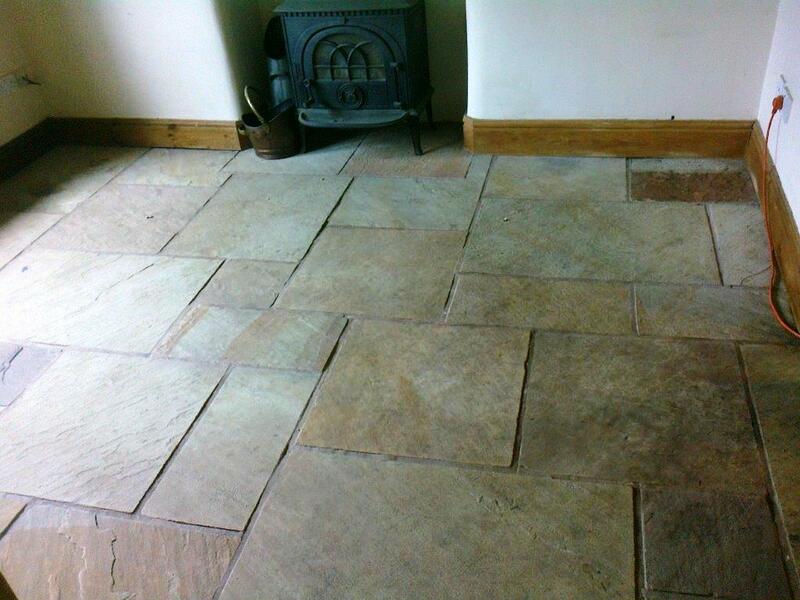 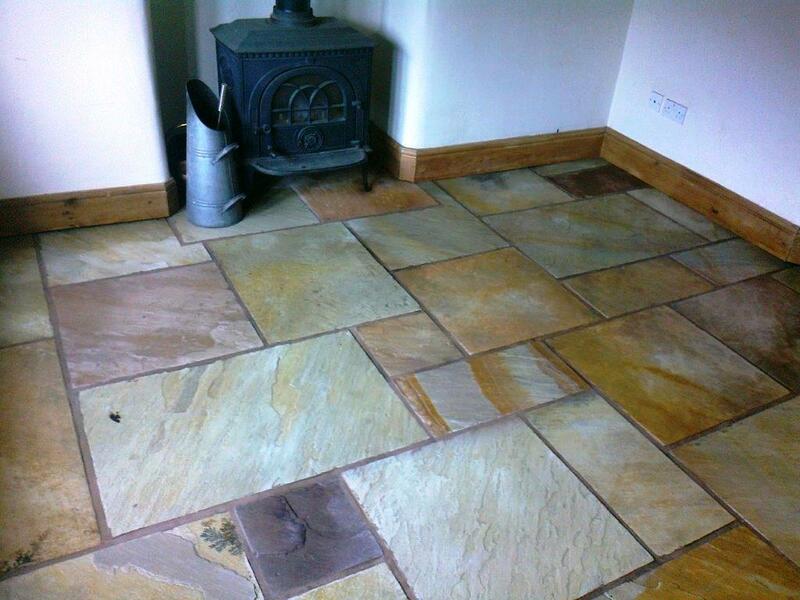 These Sandstone floor tiles installed in the front room of a house in Bramhall were looking grey with no natural colour due to heavy soiling from family pets and muddy boots. 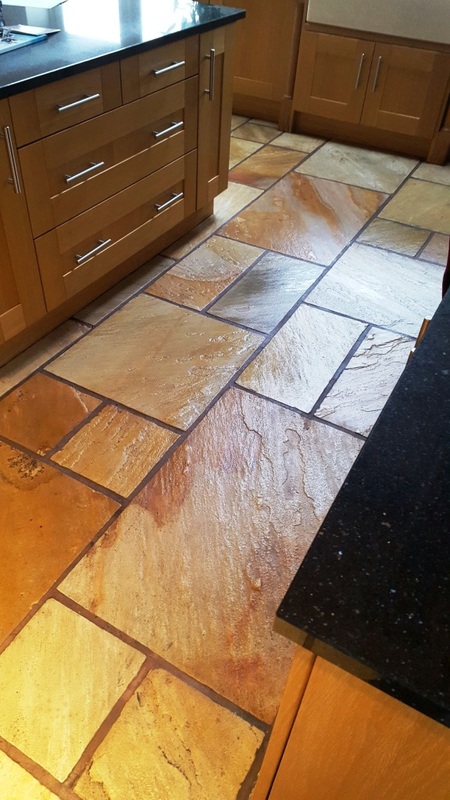 Tile Doctor Pro-Clean which is a commercial grade alkaline tile cleaning product designed for use on natural stone floors such as Sandstone, being an alkaline it doesn’t eat into the stone like acid cleaners. 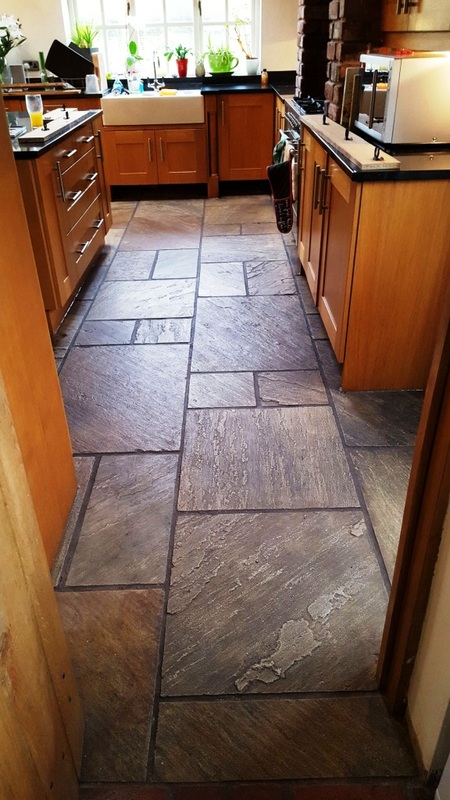 The solution was left to dwell for a while before working it into the stone with a rotary machine fitted with a black scrubbing pad. 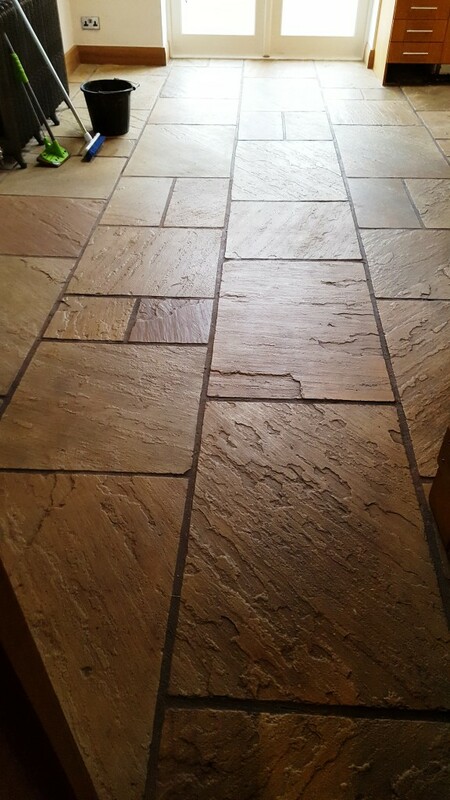 The resultant soiled solution was removed using wet vacuum and the floor washed down, there were still a few stubborn areas and the grout needed a good clean with more Pro-Clean and a stiff brush run along the grout lines. 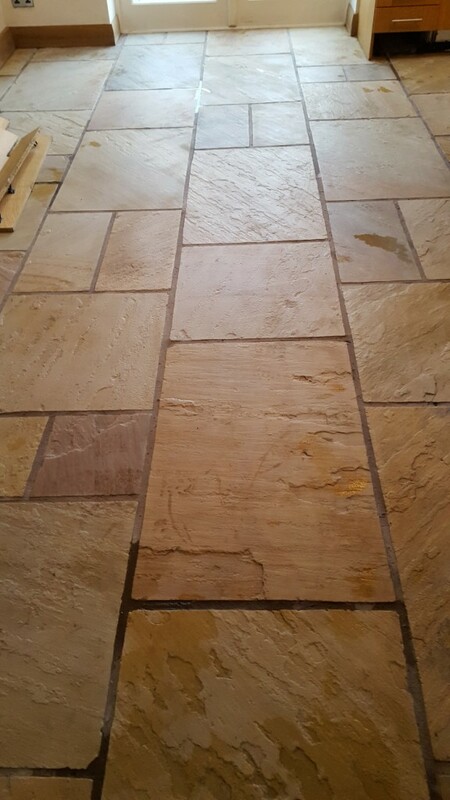 Once I was happy with the condition of the floor any remaining cleaning solution was removed from the floor using a wet vacuum and the stone given a thorough rinse and left to dry. 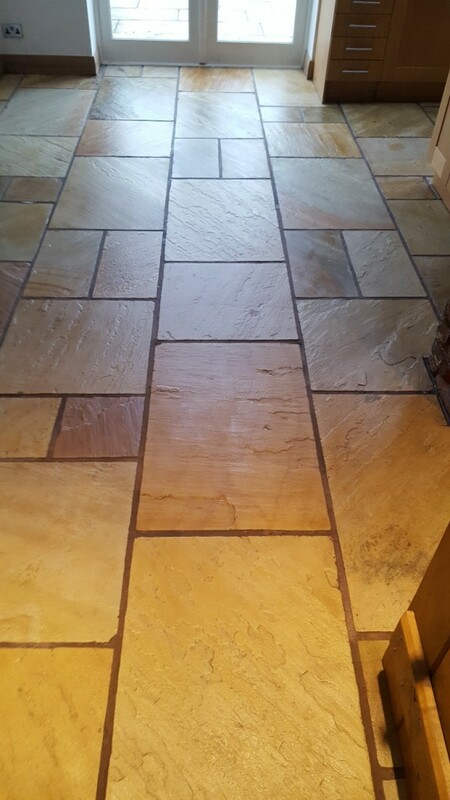 The floor looked much improved however the customer on this occasion didn’t want the floor sealed which is a shame as a sealer really adds life to a floor and makes it easier to clean as a result this floor will soon discolour.